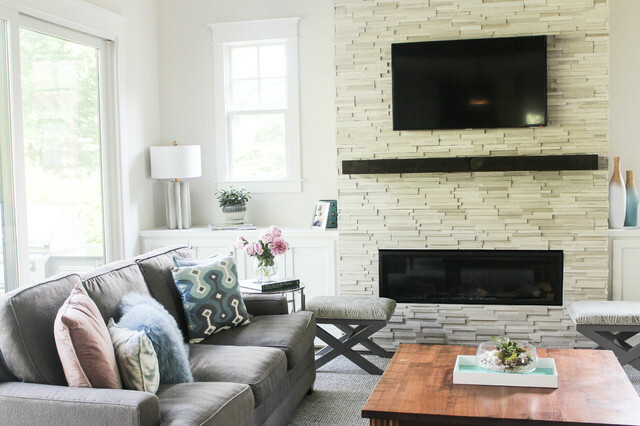 A stacked stone fireplace adds a contemporary touch to this modern farmhouse. The rectangular gas fireplace insert provides extra warmth on cold days. Cop-Ikat Geometric Print Pillow, Classic Gray, 20"x20"